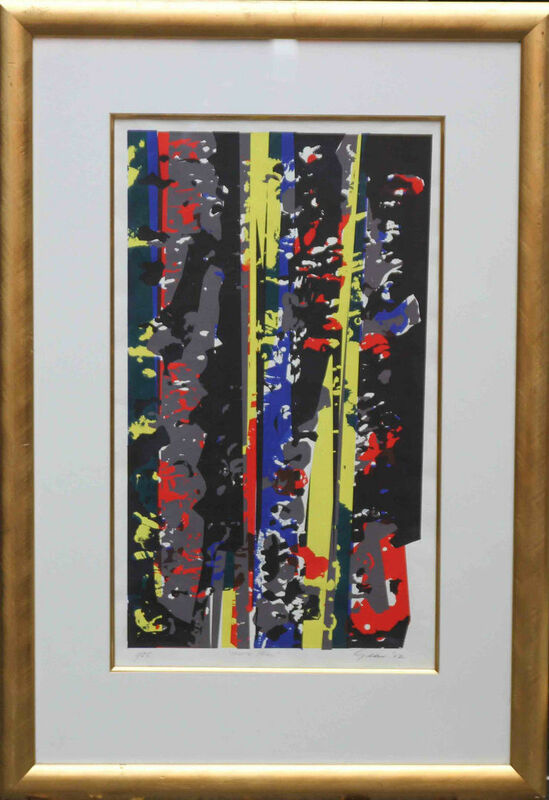 An original silkscreen print by Scottish COBRA listed artist William Gear. 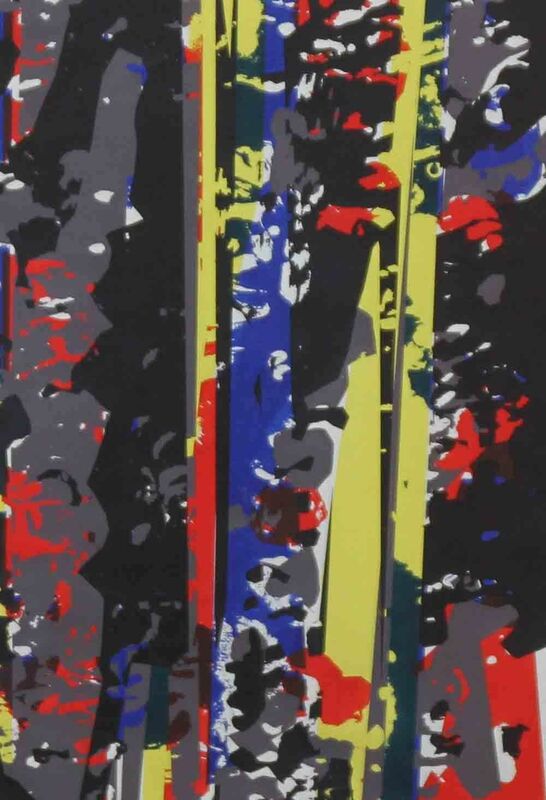 An internationally famous abstract artist Gear was a member of the COBRA group which was famous in the fifties and sixties for its abstract art. This trial proof 1/25 limited edition silkscreen is titled Yellow Spike and is typical of his work of the period. His prints are rare to market and his oils now command tens of thousands at auction and even higher at galley level. This is an exceptional example of a mid 20th century Scottish COBRA artwork. The colouring and condition are very good. It is a good large size and signed with good provenance. Mid 20th century abstract artwork like this can be seen on display at Galleries and art fairs. This is a very good example of his work. A delightful painting. Housed in gallery frame which compliments the picture 40 niches by 28 inches approx, very good condition. Large original silkscreen print, very good condition. Excellent in original frame. The colour is remarkable.